Available in three phase: 10811LED or single phase 10812LED. 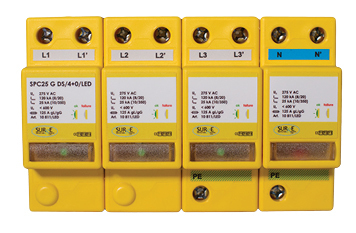 Surge Protection Devices Ltd are always striving to bring out new, innovative products to add to their collection of over 3,000 products they already have. If you would like any more information about this product, please contact our technical helpline on 01484851747. Come and see us at Elex Exhibitions 2016 Why should you fit a surge arrester in your home?